My husband loves buying in bulk. Although it’s true that we have a big family with four growing children to feed, I wouldn’t have ever thought we’d need to buy the world’s biggest jar of pickles. 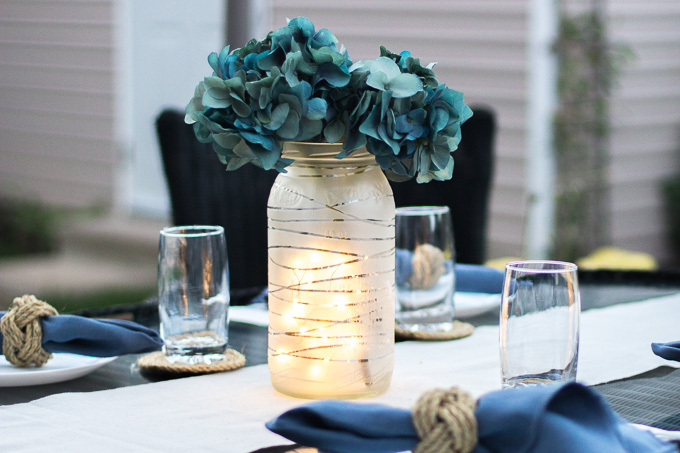 Good thing I’m crafty and saw it’s potential as a simple lantern – they would also look great as DIY wedding centerpieces! Luckily my eight-year-old son loves pickles. While I didn’t think we’d ever get through all of them, they didn’t last too long. 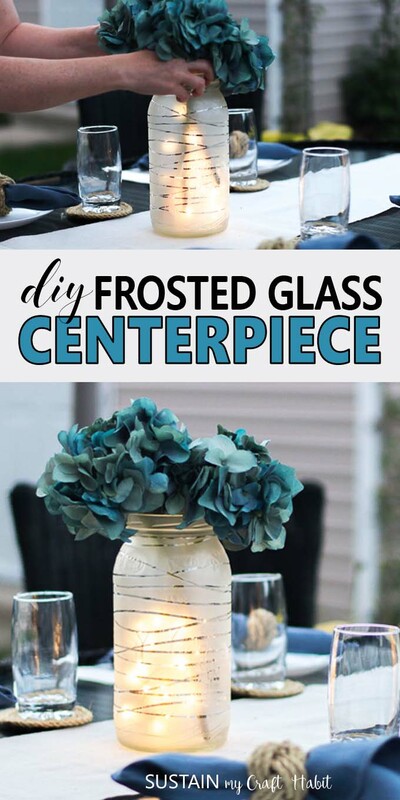 That glass jar was just too nice and large to recycle and instead I decided to repurpose it as a beautiful frosted glass lantern centerpiece. 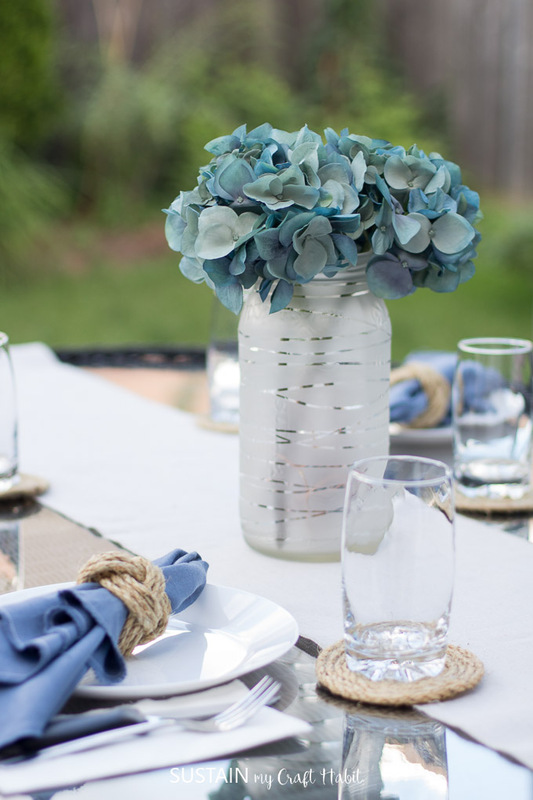 In the end, the lantern centerpiece makes a really stunning and elegant decor. 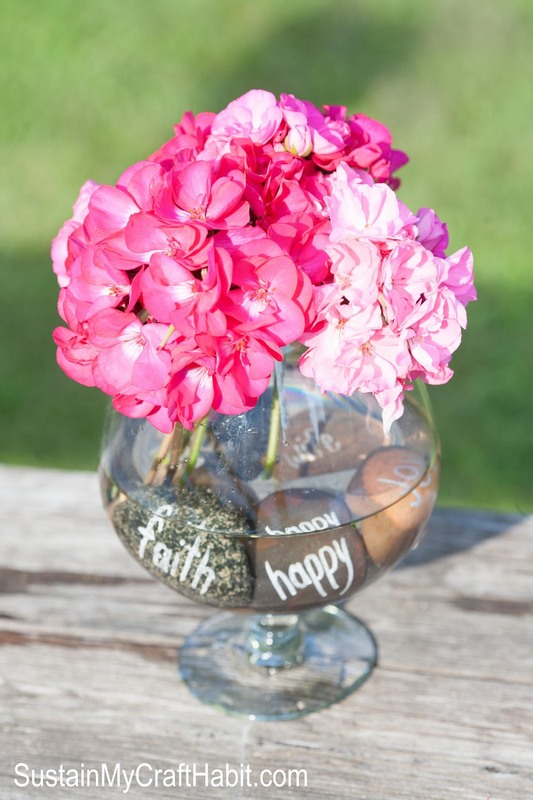 I actually would have loved to have these as part of my DIY wedding centerpieces. 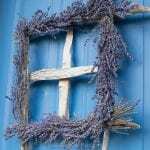 It’s inexpensive, unique and can even be used a beautiful indoor or outdoor decor item afterwards. 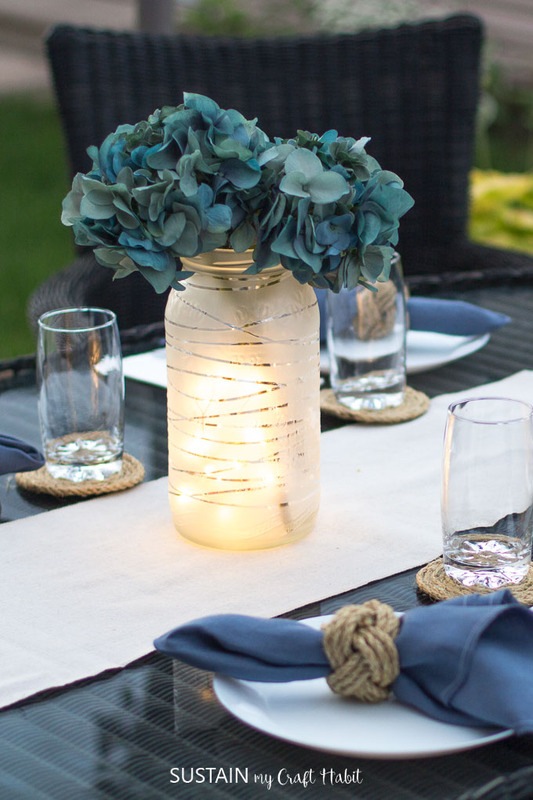 Continue reading below for full instructions on how to make a frosted glass lantern centerpiece. 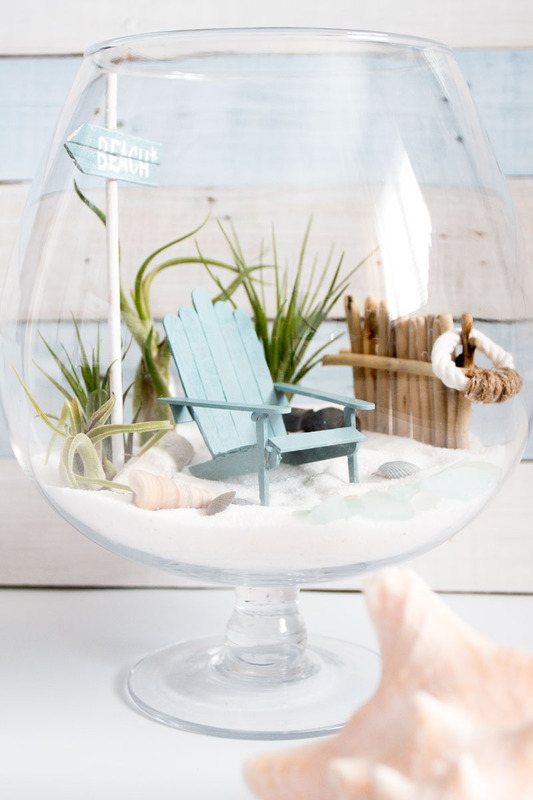 For more ideas on DIY wedding centerpieces check out our nature-made inscribed beach stone centerpiece, our simple DIY beach-themed centerpiece using seashells and sand, or our non-traditional mini-garden terrarium centerpiece. 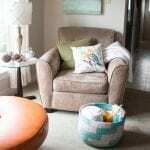 Disclosure: This post continues affiliate links for your shopping convenience. You can find our full disclosure policy here. 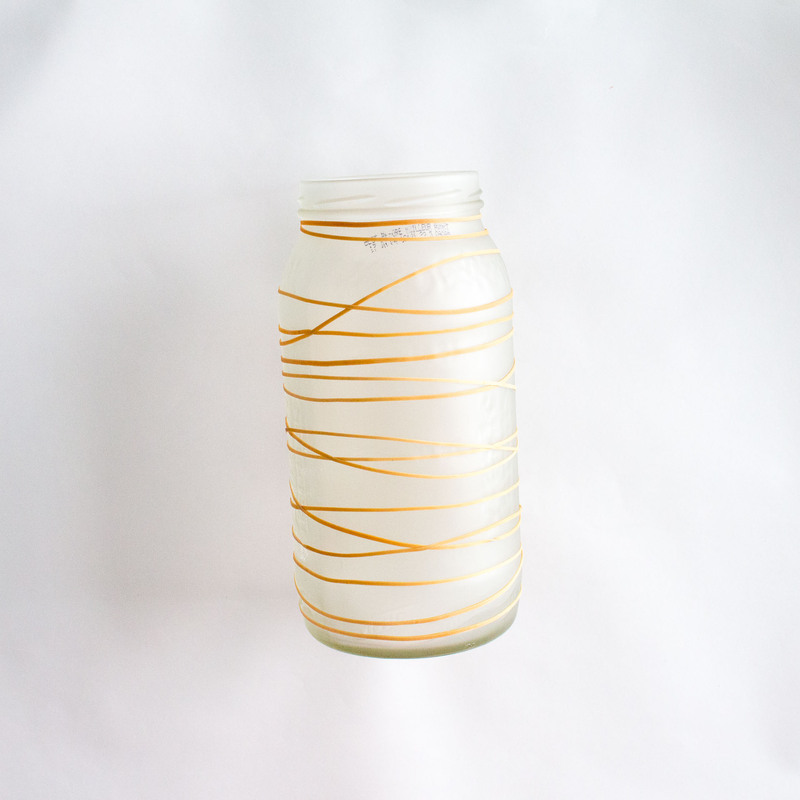 Thoroughly wash out the jar and remove any labels. 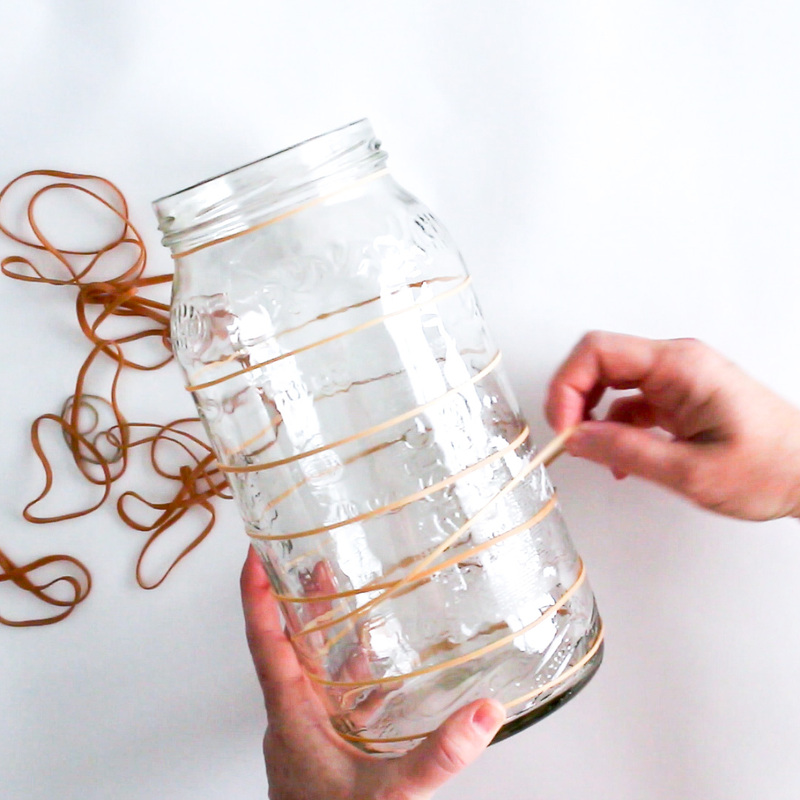 Stretch elastic bands around the jar making sure that they are lying flat against the glass. 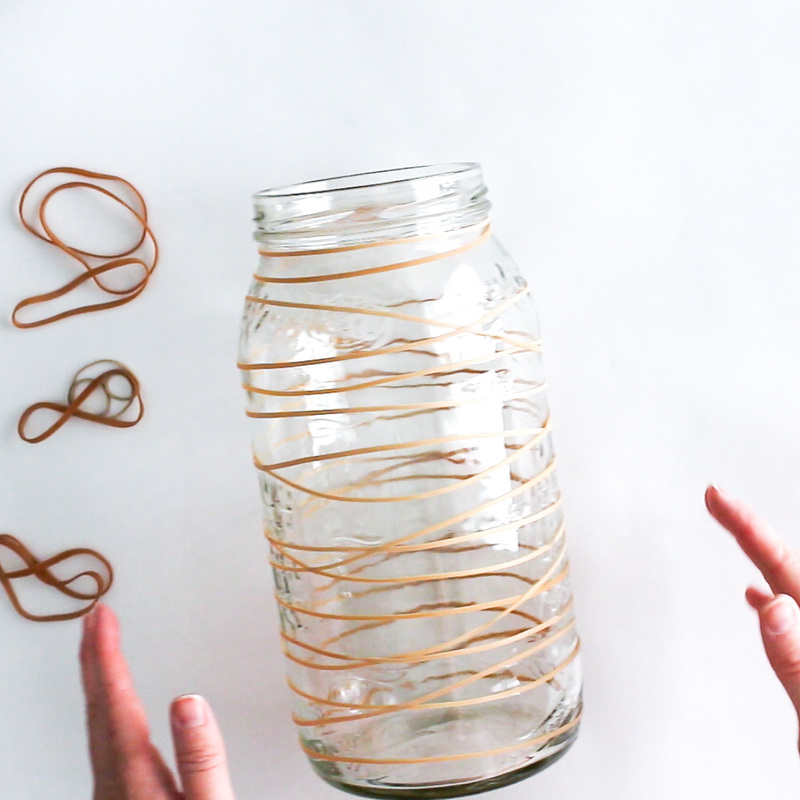 Criss-cross some of the rubber bands over each other to create a “wrapped” design. 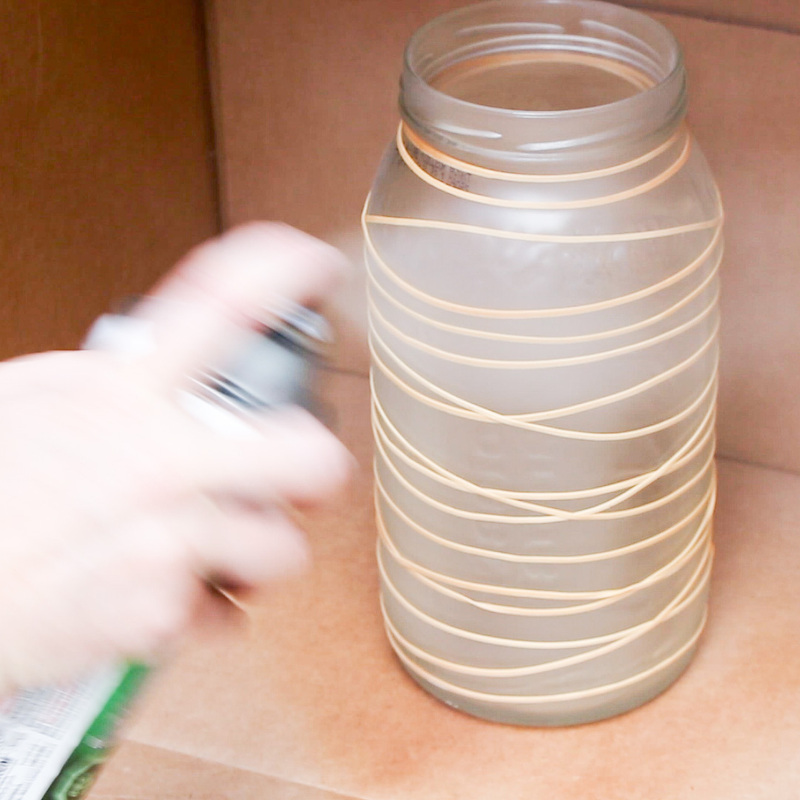 Following the instructions on the can, spray 2 coats of the Frosting spray all over the outside of the jar. Let dry 15-20 minutes. 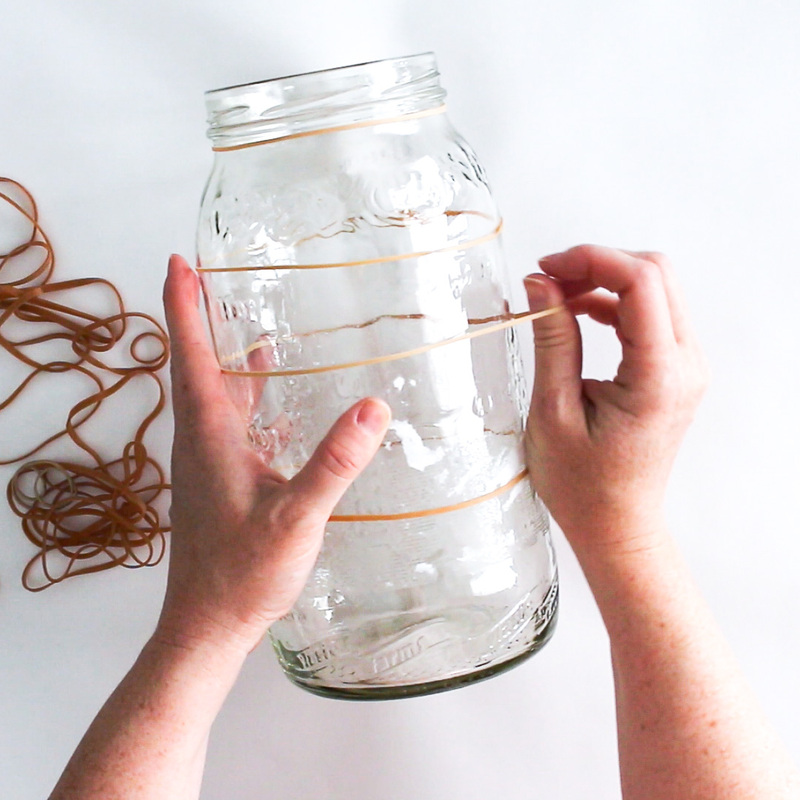 Carefully remove the elastic bands from the jar. 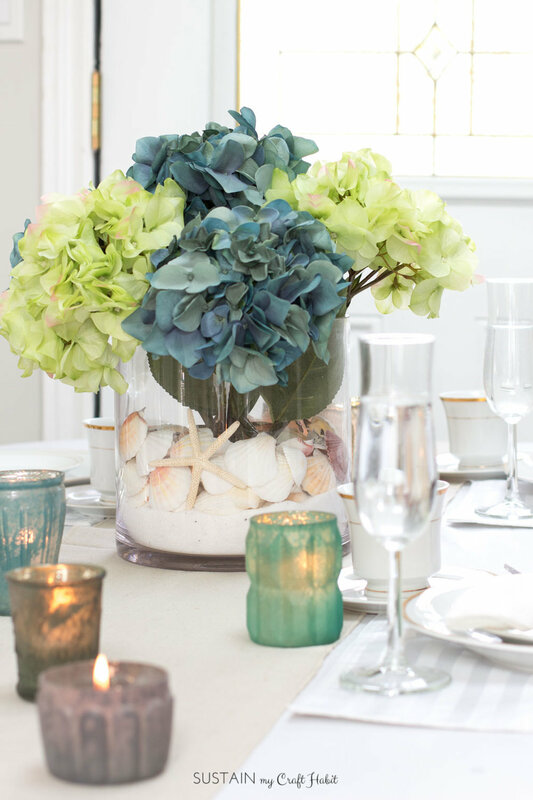 Assemble the centerpiece: add in the twinkle lights and faux florals. 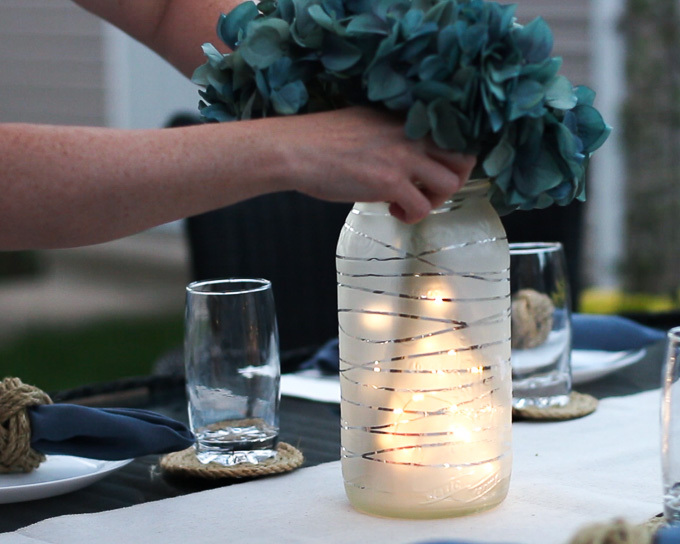 Enjoy making these upcycled frosted lanterns as part of your own DIY wedding centerpieces or for any occasion! We even like how they look unlit. 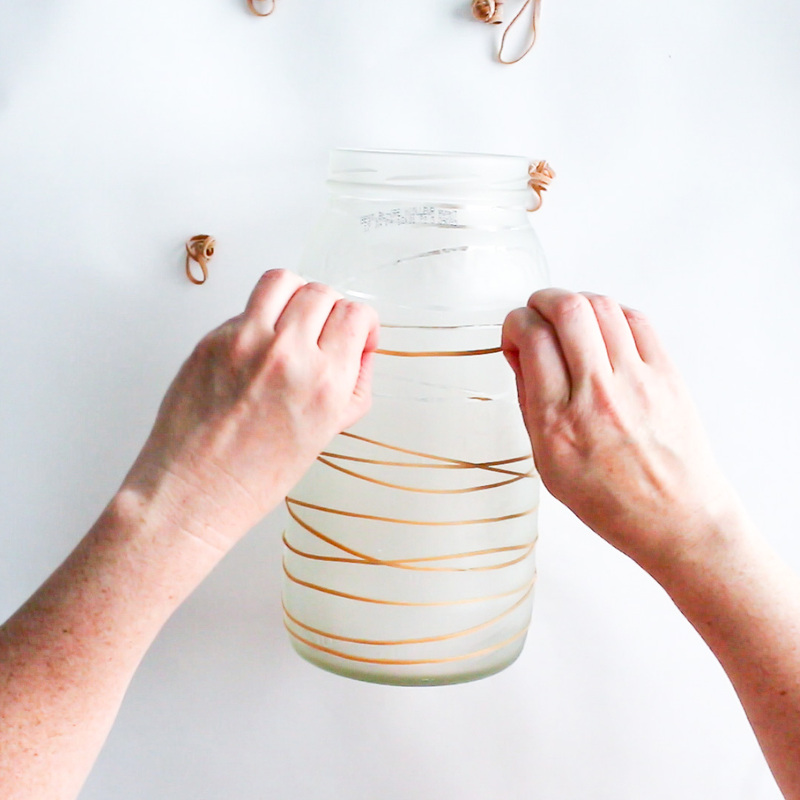 If you like this project, be sure to explore our other upcycling ideas. 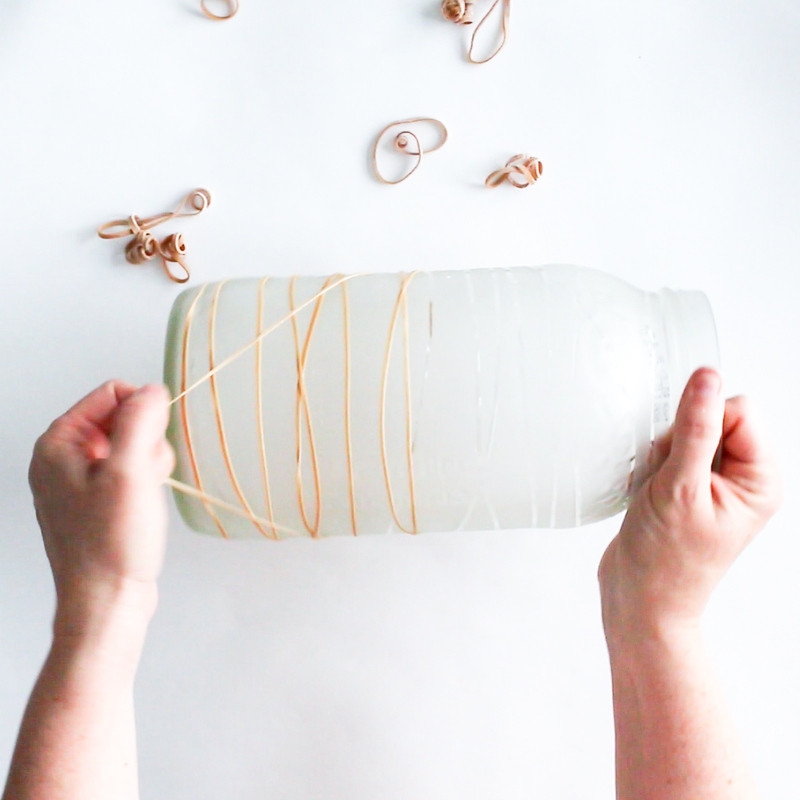 This project originally appeared on The Weathered Fox blog. Says the paint is for indoor use only. What do you recommend sealing it with to protect it from weather and dishwashers?